Looking for a fun night out, team party?? 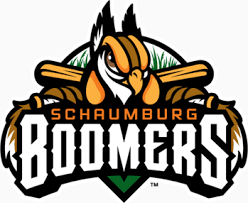 Come watch the Boomers take on the Normal Cornbelters at 6pm on July 21st at our annual Schaumburg Boomers Outing. Tickets start at $9 each (other packages available). The first 1,000 fans will receive a replica jersey along with post-Game FIREWORKS!! Would you like to come in to the stadium early? Have you never seen a Bartlett Challenger game? The Challengers will be playing their annual Boomers Classic game before the Boomers game. we enter the stadium at 3 pm, they closed up the stadium and the Challengers play their game, players pictures are on the big screen when they come to bat and sometimes the Boomers players come out and watch or help out the players. To purchase tickets through our portal below is the link.